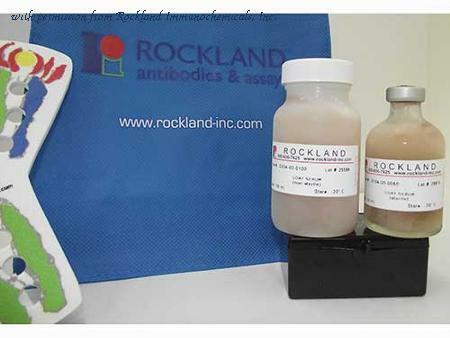 Goat Serum blocking reagent or NGS is ideal for blocking procedures such as Western Blotting, ELISA and immunochemistry to prevent nonspecific binding. 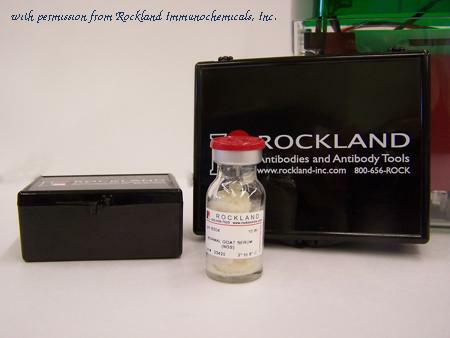 This blocking agent is recommended for use in immunoassays where the primary antibody was produced in goat, as a source of non-specific serum protein or on tissue for immunohistochemical applications. Published customer image: . 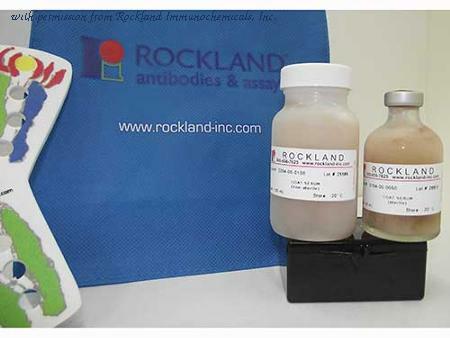 Normal goat serum ( C07SA ) used as a blocking reagent to minimise background for immunofluorescence staining of vGLUT1 and VIAAT in rat brain tissue. Image caption: . 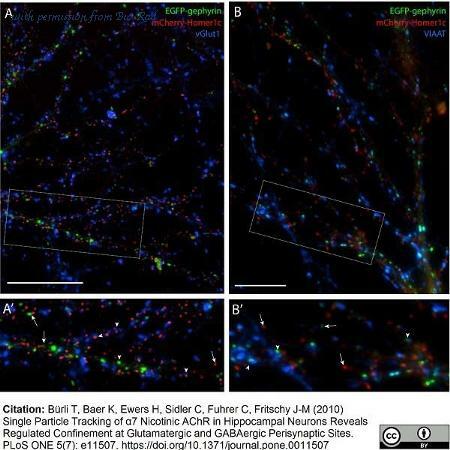 Segregated distribution of mCherry-Homer1c (red) and EGFP-gephyrin (green) in interneurons co-transfected by magnetofection at 11 div and processed for immunofluorescence staining for vGluT1 (A) or VIAAT (B) (blue) at 21 div. The boxed areas are enlarged panels A′ and B′. Arrowheads point to postsynaptic clusters apposed to a labeled presynaptic terminal. Arrows indicate isolated, possibly non-synaptic clusters. Scale bars, 20 um. From: B rli T, Baer K, Ewers H, Sidler C, Fuhrer C, Fritschy J-M (2010). Single Particle Tracking of 7 Nicotinic AChR in Hippocampal Neurons Reveals Regulated Confinement at Glutamatergic and GABAergic Perisynaptic Sites. PLoS ONE 5(7): e11507 .